The first 10.5 miles are relatively flat, with the exception of one short hill at 3 miles, as the course goes east along the shore for about five miles and then heads inland through the farmland and cranberry bogs of East Falmouth. When the course turns onto Thomas Landers Road, the route climbs for 1.5 miles about 70 feet to the highest elevation of the course (about 100 feet above sea level). From mile 12 to mile 15, the course heads south into West Falmouth and is primarily downhill or flat. There is a 3/4 mile downhill at mile 12 that starts that sequence. Between mile 15.5 and 23.5 the course proceeds south into Woods Hole and picks up the first part of the Falmouth Road Race course, going past Nobska Light at mile 22. This 8 mile stretch of terrain consists of a non-stop series short rolling hills mixed in with some flat and with some noteworthy hills (1/4 – 1/3 mile) at 15.5, 17, 20, and 22 miles. 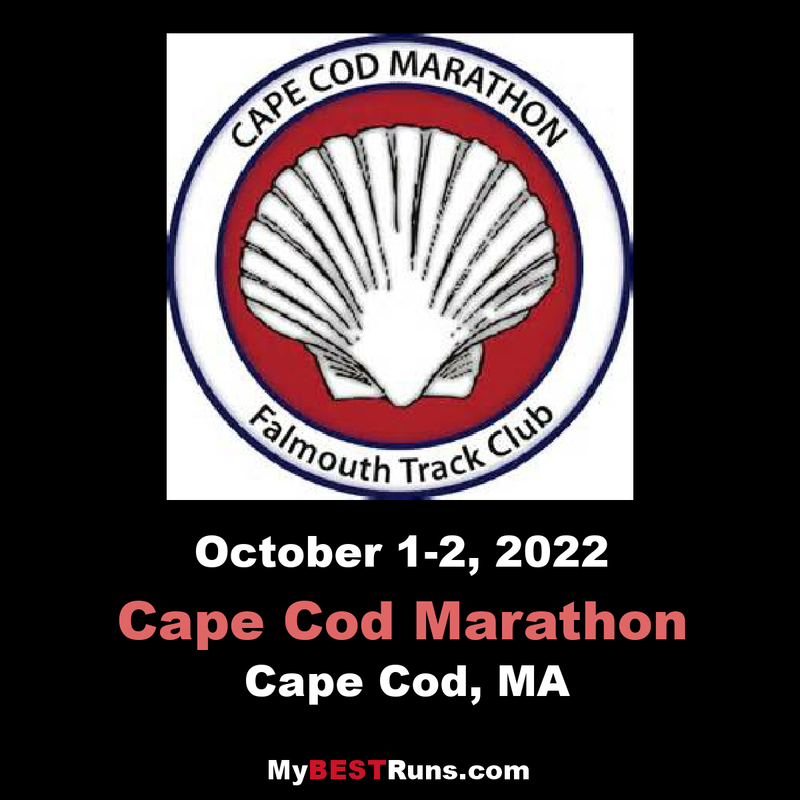 Just beyond 23.5 miles, the terrain flattens out again for the last 3.2 miles along the Vineyard Sound shore and back to Falmouth center. The first part is easy, the latter is a test. The people who do well on this course (and consistently year in and year out, 25% of experienced marathoners PR on this course) follow the following formula: go out easy, take plenty of fluids, and save energy for the hills.